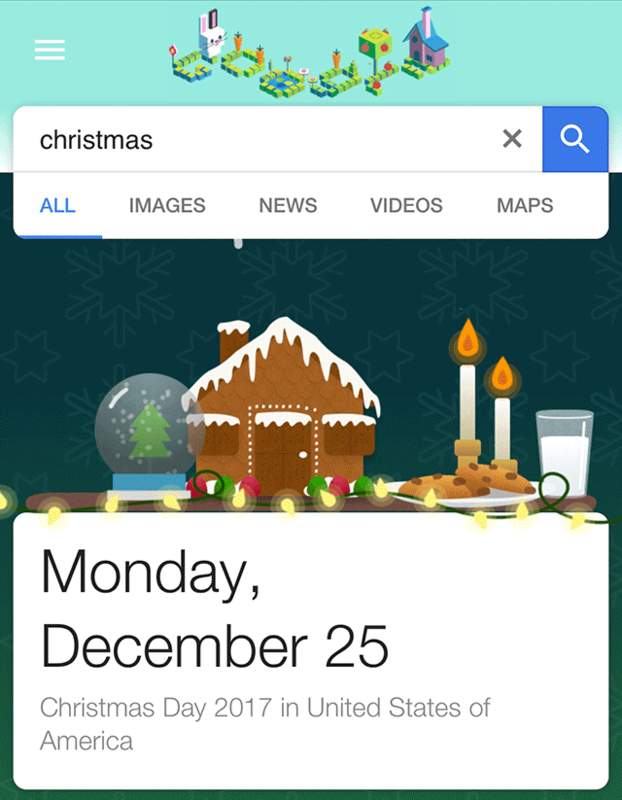 Today, Google has launched their annual holiday decorations on their search results page. 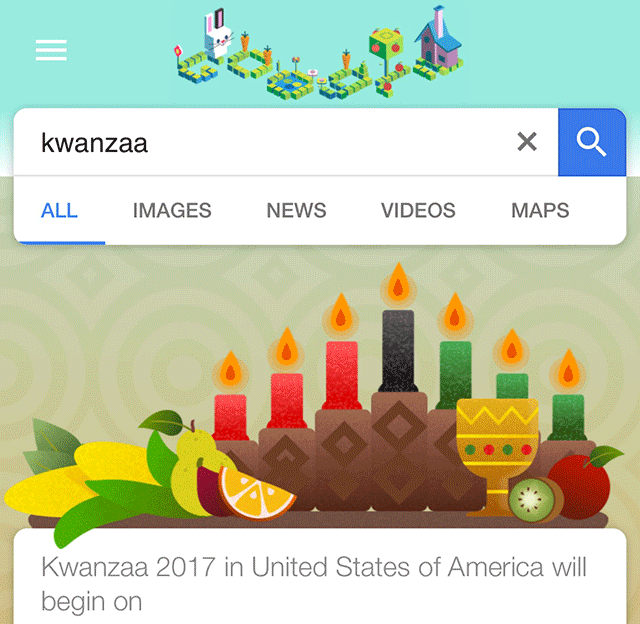 Like always, you can trigger them by searching for the holiday name and sometimes variations of the holiday name. 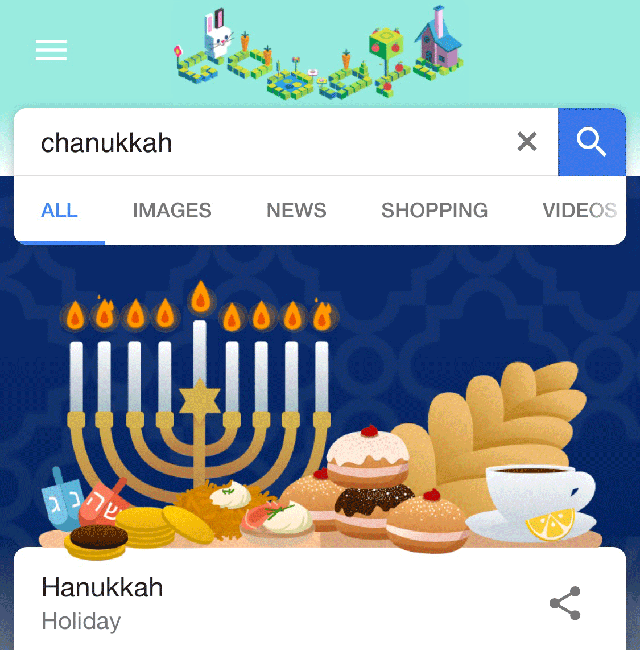 They work for Christmas, Hanukkah and Kwanzaa on both desktop and mobile and the desktop and mobile, for the most part match each other this year. Again, they work similar on desktop, so give them a try. They are also mostly animated and the level of detail on the Chanukah one does impress me this year. Oh, [festivus] is technically up all year round. Here are the holiday decorations for the previous years including 2016, 2015, 2014, 2013, 2012, 2011, 2010 and so on. It is nice that they change year to year.